Autumn is the time of year where pumpkins are aplenty. They say if Fall had a flavor, it would be pumpkin spice. I couldn’t agree more. I love the aroma of pumpkin pies baking and enjoy adding pumpkin to various recipes including drinks. Combine pumpkin and fall spices with freshly brewed coffee and you’ve got a delicious and irresistible combination. A popular drink during the autumn is the Pumpkin Spice Latte. Pumpkin Spice Lattes are really popular when the frosty temperatures arrive and everyone loves, loves, loves them. They’re also calorically rich, high in sugar and costly. With a few simple ingredients, you can them at home and choose healthier ingredients. ♥ Heat the coconut milk in a small pot or tea kettle. ♥ Add the milk and remaining ingredients to a blender, blending until well-combined. ♥ Serve with a cinnamon stick and enjoy! Snuggle up with a warm blanket, a flickering fire, a good book and a hearty mug of Pumpkin Spice Latte and you’ll have the perfect evening planned! This looks good, it sounds good but for me personally the only thing I like pumpkin in is a pie. My father loved them. I agree. I only like pumkin pie, not a latte. Come on have you ever had a latte? Latte are for people who want to try different things in life. I am not normally a coffee drinker, but this recipe sounds very good. A Pumpkin Spice Latte is one of my favourite winter beverages but I hate paying big prices for one. Making my own is a great idea! I sould love to try this! I drink decaff and I can make it with decaff! I love Pumpkin Spice. It’s one of my favourite things about the fall. I love pumpkin spice lattes! I love pumpkin spice milkshakes! I love October because it’s the most pumpkinful time of the year! This looks delicious & vegan, I see. That sounds like some serious deliciousness. I need to try this! I am not a big pumpkin spice person. But my husband sure is! I will have to try this for him. Thanks! The Pumpkin Spice Latte looks delicious. I need to try the recipe. I don’t drink coffee, but my daughter loves Starbucks Pumpkin Spice Lattes so I’ll have to share this recipe with her. I don’t know what they use at Starbucks, but this recipe sounds healthier. And it’ll be lighter on her wallet. Sounds like a perfect cup of coffee on a cooler autumn morming. I love how easy and healthy this recipe is! This certainly looks very nice but I’m afraid that I don’t like pumpkin at all. Not for me as I really don’t care for the “pumpkin spice” flavour! I don’t even eat pumpkin pie. You may not believe this but I have never tried pumpkin spice in anything other than pumpkin and squash pie. I am not a coffee fan but I think it would be pretty delicious as an ice cream flavour. I absolutely love Pumpkin Spice Lattes. It’s one of my favorite things about fall. Looks perfect for a cool fall afternoon. Sounds really good for pumpkin lovers, which is everyone I know except me, only thing I have never liked, maybe I should try it again as an adult, This drink makes me want too! I love the smell of pumpkin spice, very nice feeling of autum. OHHHH I will have to try this one. My daughter will love it. This looks ridiculously good and yummy. Unfortunately, I am allergic to pumpkin, so I cannot indulge. I love pumpkin. Looks really good. this sounds so amazing. I pumpkin spice and lattes. That looks so yummy! I cant wait to make my own! This sounds so yummy! I can’t wait to try it. I have to get coconut milk first. mmmm….sounds good, I’d maybe add a little turmeric. 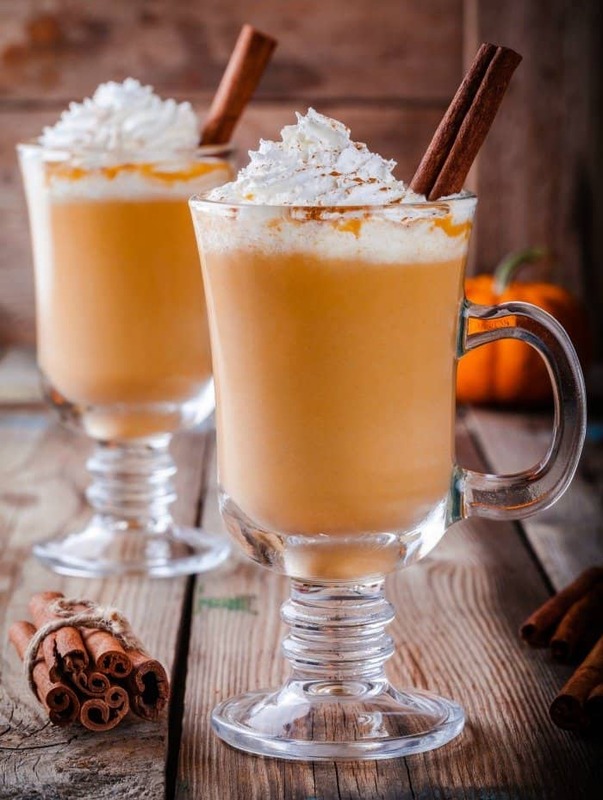 Your recipe for Pumpkin Spice Latte sounds so inviting and delicious that I would love to try it and I may on one of these chilly Fall evenings. Thank you for sharing with us. Fall has my favorite flavors of the year, so I’m eager to try this! Sorry this isn’t for me. I don’t drink coffee or lattes. I LOVE MY PUMPKIN SPICE!! I always look forward to Fall, because that’s when it come out everywhere. I never thought to try making my own…it would probably be a lot less sugar-filled and better for me! I have a friend that would probably love this. Yum! Never tried it with coconut milk before. That would be a fun alternative. Waiting for someone to make me this, Pumpkin Spice Latte I am feeling sick and can’t move! This would be very good on a cold wintry night. Love Pumpkin Spice Latte and your recipe looks really good. They can be pretty pricey in restaurants so I will be making this at home. I can’t seem to get enough pumpkin spice this Fall.. Thank you – it looks so yummy! I love lattes. This one looks very pumpkin-y! I have to admit I’ve never tried the pumpkin spice before… maybe I should see what all the fuss is about! The recipe sure looks yummy! Fall is in the air, leaves are falling and it is the perfect time for a pumpkin spice latte. YUM! Great recipe for pairing down the calories and junk in regular pumpkin spice lattes. I will have to try it as I haven’t had one in a long time because I was avoiding the calories, sugar and junk in the traditional ones. Thanks! Sounds delicious and I don’t even like coffee! This looks great! I would like one. I am lactose intolerant and at 50 years of age I have come to HATE the taste of milk… so now when I see recipes with alternatives (like coconut milk) I can’t make myself try it for fear it will still taste like milk. Can anyone tell me if it tastes like milk? I have these ingredients right now! I’m going whip up a batch before going to bed. I might make a double batch to have with at work as well. Looks delicious! Seems simple enough to make at home – can’t wait to try it! I would presume that one could use regular milk if they don’t have coconut milk on hand. A question though — where do you find cooked organic pumpkin puree? The only real pumpkin (vs pie filling) I have found in the grocery is in quite a large can and I’m always on the fence about whether to buy it because I don’t know what to do with so much! My sister would like this drink. I don’t care for coffee or coconut milk. I’d drink this! This sounds delicious and healthy! This sounds and looks amazing! I’m glad Fall is here….along with pumpkin EVERYTHING! Sounds easy enough. I love that it is lower calorie than store bought! Thanks for the recipe. I PIN it for later. I love pumpkin spice! And coffee.. perfect combination! This looks so delish! I have bookmarked this page so I don’t forget to try it. I love a good latte but I’m afraid that I don’t like pumpkin in any shape or form. I am really not a big pumpkin love nor is my husband. I do like a pie once in a while though. I don’t usually add whipped cream to my lattes but this one looks delicious with it. Mmm!! One of my favs!! Thanks for using coconut milk and making this a dairy free treat!! Will have to try it!! Looks perfect for the holidays. Oh My! Sounds delicious. I love pumpkin spice. This looks and sounds so very good. 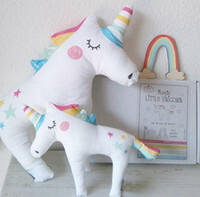 Going to make this one! Pumpkin spice has to be one of my favourite flavours of all time. I can’t wait to try this. This looks so delicious! Perfect for when I come in out of the cold! Nothing says Fall like pumpkin spice. None for me thanks. I’m not a fan of pumpkin spice flavours. This looks delicious! It’s perfect for the holidays, not just autumn, because of the lovely spices. Pumpkin is just as good at Christmas time as it is for Thanksgiving! I love the taste of pumpkin spice have to try one of these. You know the holidays are coming as soon as I see the first pumpkin spice item. Yum! My favorite thing about this time of year is Pumpkin Spiced everything! I want to try this recipe. What an easy recipe – except I’ll pass on the coffee! I love a pumpkin spice latte but i only allow myself 3/4 because of the price and calories. This recipe sounds really good, i can’t wait to try it! I like that this recipe has coconut milk, thanks for sharing! I do think this drink is delicious drink but, since I have some intolerance to coffee, I may have to stick to hot cocoa. omg i love pumpkin spice! thanks for sharing! I love pumpkin pie but have never tried a beverage with pumpkin pie spice. This looks like something worth trying. I love Pumpkin Spice Lattes! I cannot help myself. When it’s PSL season, it’s all I want to drink. This delicious recipe will now be my go-to! Yummy! I like that I can make such a good treat on my own. I love pumpkin spice lattes! Thanks for the recipe. I will definitely try making my own! Hmm, I don’t like pumpkin. But I would be willing to give this a try. I imagine this would be better homemade than at a coffee shop! I have never tried a pumpkin latte although it sounds delicious. I tried this recipe for Pumkin Spice Latte and it was absolutely delicious! It’s a keeper! Mmmm coconut milk would be very interesting in this! This sounds delicious and so much healthier than the chemically laden pre made drinks. I’m going to try this. Thanks for sharing. I love when fall rolls around because I love my pumpkin spice flavor and this looks awesome! I’ve never had a pumpkin spice latte, I’ll have to try it. I would be open to making and trying THIS version of a pumpkin spice latte. I know I would like it, but I just can’t do the Starbucks one.